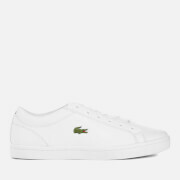 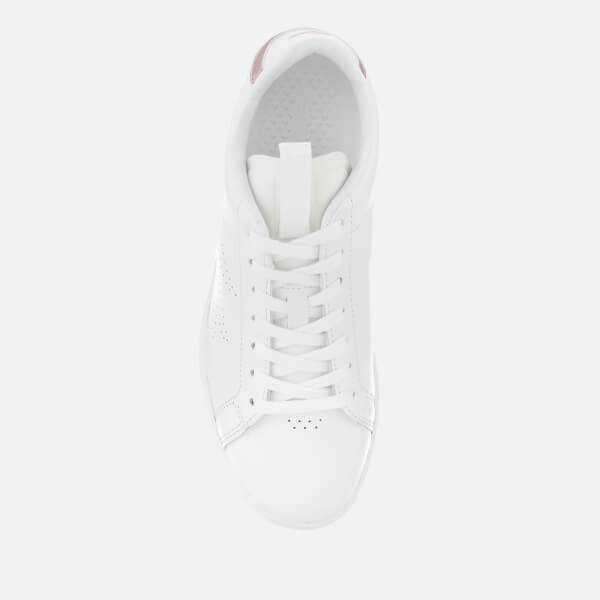 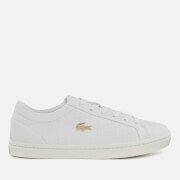 Lacoste ‘Carnaby Evo Light’ white leather court trainers. 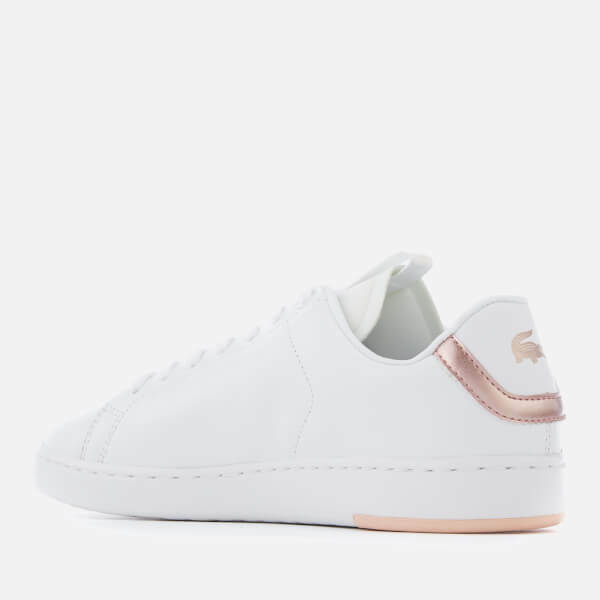 The low top sneakers are detailed with a perforated version of the Lacoste’s signature crocodile logo on the outer sides and a metallic pink logo on the heel. 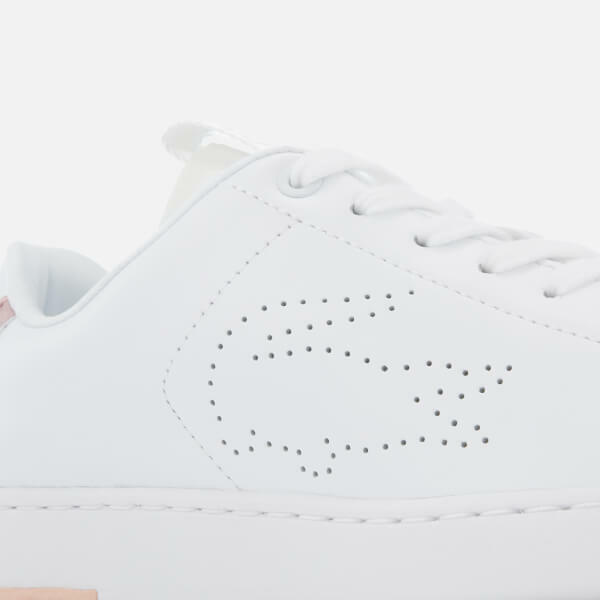 A white rubber outsole with a textured outsole provide added traction. 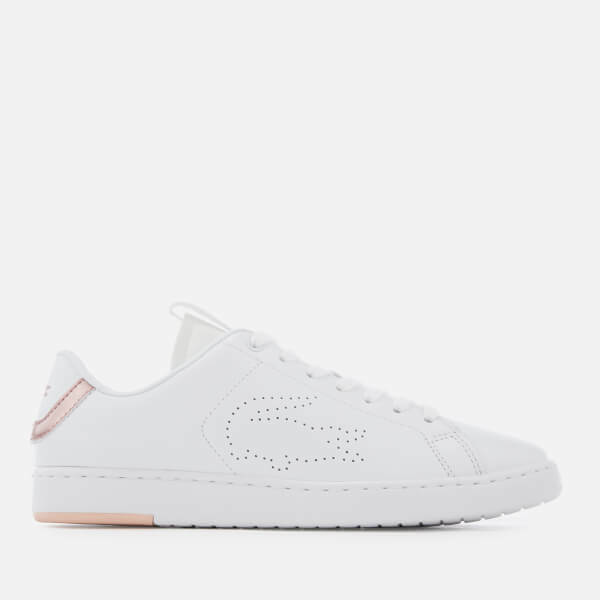 A logo tab on the tongue completes the design.